Russian scientists have said that radioactive waste sunk in the Arctic by the Soviet Navy has not leaked any contamination, but have urged Moscow to continue funding observation of the underwater nuclear wrecks. Data on the scuttled cargoes –– which includes several thousand containers of radioactive waste, as well as an entire nuclear submarine –– come from a month-and-a-half-long expedition in the Kara Sea conducted by the Russian Academy of Sciences Institute of Oceanology. 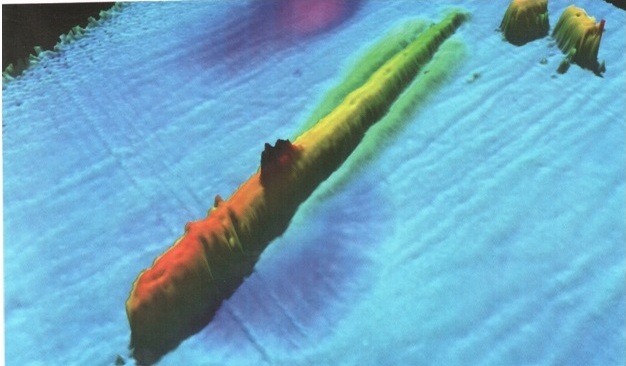 Mikhail Flint, the institute’s head, told reporters last week that scientists on the expedition had managed to significantly improve their maps of where the sunken waste lies, especially in the area of the Novaya Zemlya archipelago, a former Soviet nuclear bomb testing site. From Novaya Zemlya’s craggy coast, the expedition conducted additional research mapping radioactive hazards in the White Sea, and then progressed to the Laptev Sea some 2000 nautical miles to the east. Beginning in 1955 and continuing until the early 1990s, the Russian Navy dumped enormous amounts of irradiated debris — and it one case an entire nuclear submarine — into the waters of the Arctic. It was not, however, until 2011 that the Russian government admitted this on an international level. That year, Moscow shared with Norwegian nuclear officials the full scope of the problem. The list of sunken objects was far more than had initially been thought, and included 17,000 containers of radioactive waste; 19 ships containing radioactive waste; 14 nuclear reactors, including five that still contain spent nuclear fuel; the K-27 nuclear submarine with its two reactors loaded with nuclear fuel, and 735 other pieces of radioactively contaminated heavy machinery. Moscow routinely promises to lift the submarine, but actual plans to do have yet to materialize.